This is the intriguing invitation on the home page of the www.belladentro.org website, set up by two young entrepreneurs working in Milan, Camilla and Luca, both of them born in 1988. Their smart idea is to make use of edible fruit and vegetables that would otherwise be thrown away because it fails to meet mass merchandisers’ aesthetic and size standards. 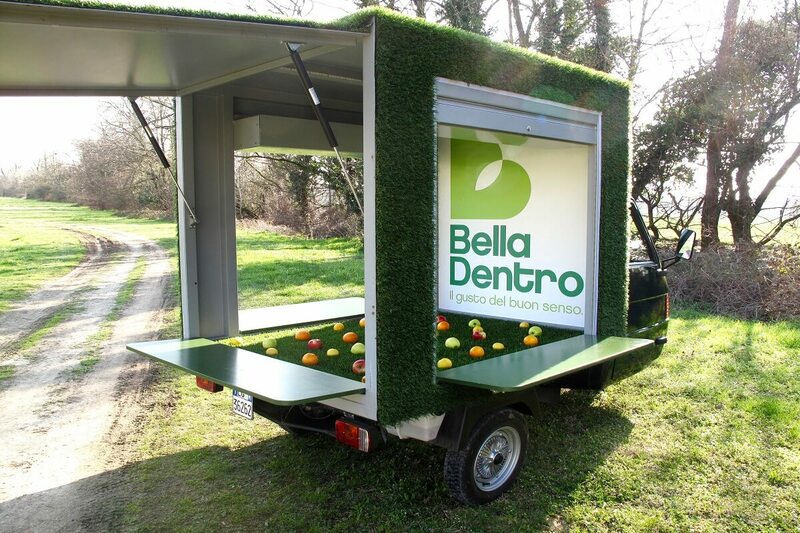 The idea alone was not enough: an on-the-road “work companion” was needed to take the produce from the growers (farms, nurseries and consortia) to towns and sell it in streets and squares. 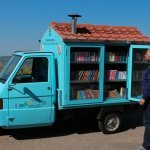 The partner they chose is a cheerful Ape Van, fully equipped inside and covered in green “grass” on the outside. This itinerant vegetable garden has risen to fame, attracting coverage in leading newspapers and magazines, radio and TV, and important accolades. 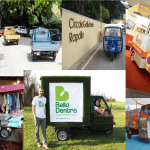 We asked Camilla and Luca why they chose a Piaggio Ape for their business. “Our Ape is a TM 200. We bought it second-hand already fitted out with the basic equipment (apart from graphics, fold-down shelves and lights, which we installed), from BEST LOCATION www.bestlocation.it. We thought of an Ape straightaway: it was the most suitable solution because it is compact and manageable, but, at the same time, it provides the capacity and weight load we needed. Also, the fact that it is a motor vehicle offers a number of advantages when we’re driving it in Milan (free access to special traffic lanes and the C Area… for now!). 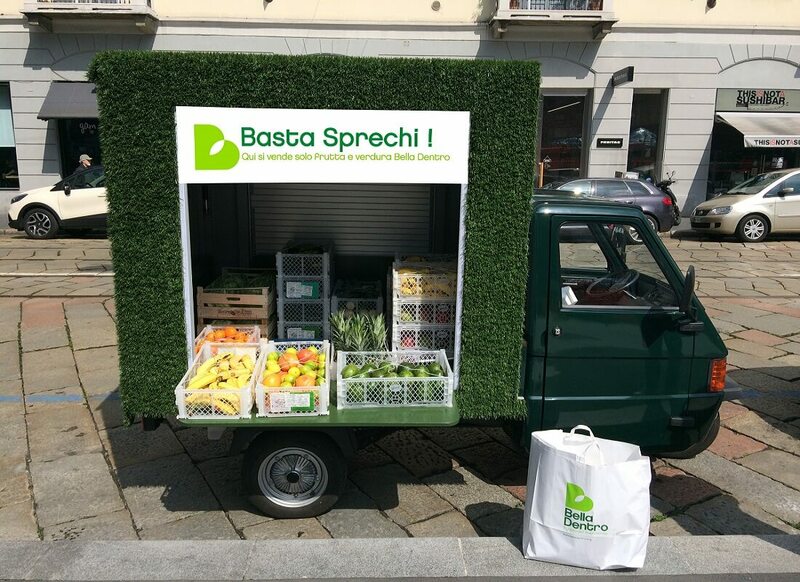 The Ape is an ideal sales outlet for us as itinerant traders, and perfect for loading and transporting fruit and veg from growers around Milan.” On 30 July, they celebrated their first year as “greengrocers”, as they describe themselves, and so far they have “saved” more than 22,000 kg of good fruit and vegetables from being thrown away. Trading with an ethical “vision”: a business that is “good inside”, as Camilla and Luca would say. Well done!